When I was younger, my mom and I ended almost every Saturday shopping. We spent the mornings cleaning and straightening the house. Then, after lunch, my brother and dad would do whatever guys do, but my mom and I would hit the stores. Sure, most of it was running errands and getting groceries, but we usually made a runt o the mall as well. Perhaps it is because I associate it with happy memories of spending "girl time" with my mom, but I have always enjoyed shopping. There are certainly frustrations like crowds and price tags, but I still relish a good shopping trip from time to time, so today's topic for Tuesday Ten is lots of fun for me! 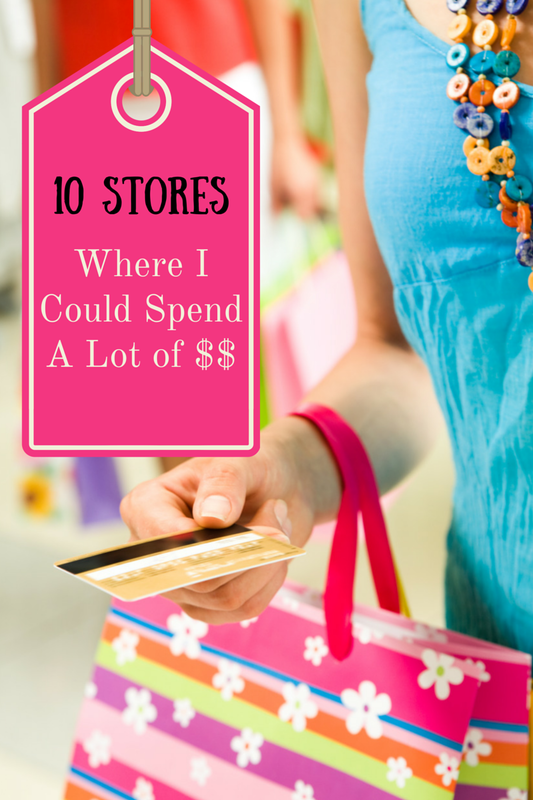 If you had a $10,000 to spend on anything you want, in what ten stores would you choose to spend you cash? Target - Over the course of a year, I wouldn't be surprised if I actually do spend $10,000 (or more) in Target!!!!! However, if I had a big chunk of "free money," I wouldn't spend it on the things I usually buy at Target like shampoo and coffee. Instead, I would head to the home section and buy somethings to spruce up the house. I would probably also head over to the electronics department and grab up some iPhone accessories and such. Pier 1 - I am NOT a decorator, but I can go in Pier 1 and get somethings that add a little pizazz to our house without much effort and, since a lot of it is on display, it doesn't take an interior designer to figure out how to use it. Loft - I haven't found much in this store this season, but usually I do. White House Black Market - I pretty much love everything they ever put on the mannequins in the store window. I have bought a couple things there before, but it is pretty pricey and would take some serious "spare change" to really take full advantage of that store. Talbots - Ditto what I said about WHBM. Soma - I discovered Soma about a year ago. I like to call it "Victoria's secret for grown ups." Of course, they have the usual undergarments, but they also have the most comfortable pajamas on the face of the planet. Coach or Michael Kors - I want one of those bags but simply cannot bring myself to spend $300+ on a purse. If I had $10,000 though . . . . . . . .
DSW Shoes - Because a girls can NEVER have too many shoes! Schiffman's - This is a local jewelry store. Truthfully, $10,000 probably wouldn't really go very far in there!!!! Bed bath and Beyond - I would buy placemats, sheets, a new comforter for our bed, and every little kitchen gizmo or gadget you can imagine! Can I tell you a secret? David would probably be terrified if he knew how easy it was for me to come up with this list and spend my imaginary 10 grand in my head! Oh, who am I kidding?!?! He knows exactly how quickly I could blow through that money and he could probably have written his list for me!! If you had $10,000 "free money," what 10 stores would you choose? In 2013, Rabia and I were both doing our own Tuesday Ten posts. Late that year, we decided to collaborate and turn it into a weekly link up! 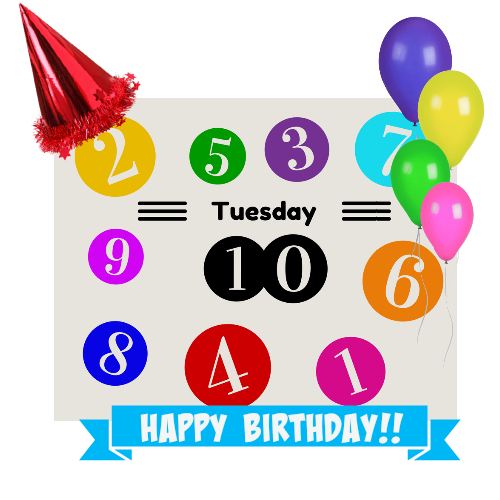 The first Tuesday Ten we co-hosted was published on January 7, 2014. I'm so bad at shopping that I haven't even heard of half of those stores. This was a hard list for me to come up with because I just don't go shopping that often. Of course, if you gave me $10,000 and twisted my arm, I'd be sure to spend it all!! I'm in the same boat as Rabia. Guess I'm not a real Shopper either - hadn't heard of a lot of the stores that you listed, Lisa ... but I'm glad you mentioned them and enlightened me. I'd love to find a Soma near me and spend some real cash on comfy pajamas. I'm going to buy one soon. We actually have a Coach outlet that's only about 45 minutes away. Hopefully, I can find time to go soon! The pajamas aren't what my husband would call exciting (wink, wink) but they are soooooooo comfortable! I do a lot of window shopping at these stores because they are pretty pricey! I am not fashionable, either, but if I could afford these stores maybe I would be! OMG, I love Soma! They are not inexpensive, but they are so worth it! I totally agree with you Lisa. If I got $10,000 I would spend it on my kids & my home *(oh and bills)...i would be lucky if treat myself to a pedicure :) Great list! I would love to go shopping in America!